Buzz Kill Ramblings of Tim Louie: HO-HO-HOLY CRAP! HOW MUCH? Since when did they ever charge to sit on Santa's lap? 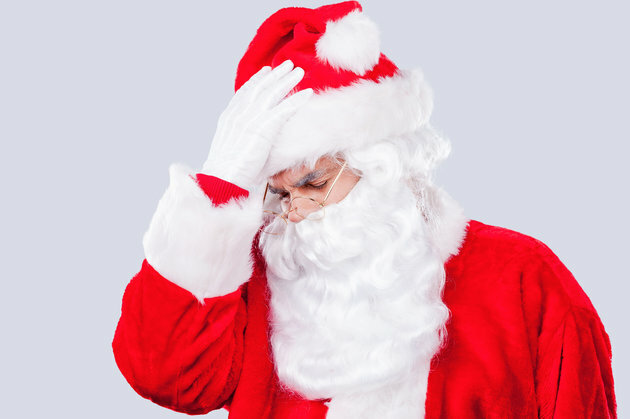 You'll be happy to learn that Cherry Hill, NJ has lifted their original charge of $35 to $50 to sit on Santa's lap after much outrage and ridicule from customers. Santa is free again! The South Jersey mall eliminated the pricey requirement on Monday, which included a photo or video package for kids to get into a Santa exhibit. The decision to charge for the attraction, which had been free last year, sparked anger from many parents, who some said the fee inherently pushed away low-income families and ran counter to the spirit of the holiday season. When we were kids, I remember going to see Santa was something we always looked forward to. My sister used to be scared shitless, but my parents used to takes us anyway. The idea to charge for such a thing is just lame. Those parents are right. Some families can't afford this type of charge and is it really the spirit of Christmas to charge for a photo with Santa? One mother of two complained, "He's locked up in his castle. You can't even see Santa." The mall said it was lifting the fee for Adventures to Santa because it wanted to keep things festive in the spirit of the holiday season. Doh! That should have been a thought in the planning process. A spokesperson for the mall said, "We have heard and value our loyal customers' feedback and as a result, have decided to remove the photo package and purchase requirements." The mall's North Pole exhibit features a large enclosure with digital panels for walls that block views of the jolly old fella. 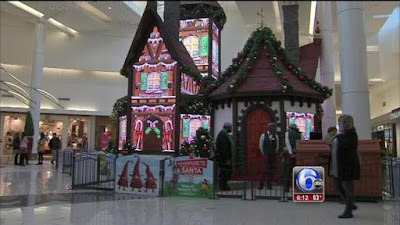 Pennsylvania Real Estate Investment Trust, which manages the mall, said the exhibit is one of the only 12 Adventure to Santa attractions in the country. Another mother complained before the company switch course, "I probably would have paid that much for pictures this year. It's just the fact that they're charging me for something that was free last year, something that should always be free." If I remember correctly, the display also featured characters from the movie Shrek, as well as a virtual sleigh ride and a concert performed by elves. That's just what I remembered from last year. My wife and I never walked through it. I swear! And we would definitely not walk through it this year for $35 to $50. They were very smart to lift that requirement. They must of have Scrooge or the Grinch creating their Marketing plans.